TIPS, TRICKS, AND TRADE SECRETS. 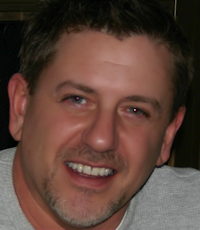 For those of you that don't know me personally, my name is Jeff, and I am a Hairstylist, Colorist, Makeup Artist, Amatuer Photographer, and the owner of Madison Avenue West Salon. I thoroughly enjoy my career and over the years have had the pleasure of working with so many talented people in various walks of life, and with this website hope to share some of my knowledge in the beauty realm, as well as some artistic endeavors from many different projects that I've worked on throughout my years int he beauty industry. As promised, I've created this page for those of you who need a little help with makeup application and those who are makeup enthusiasts and just like to pick up new tips. This page will be an ongoing work, and I will continue to add more information, photos, and points of interest whenever I can, so check back here and there for updates! 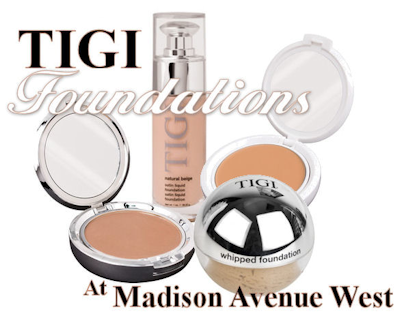 As a professional Makeup Artist and owner of Madison Avenue West Salon, I use and recommend TIGI Cosmetics in the salon and on photo and video shoots. The formulas truly are exceptional and have long-lasting staying power, the colors follow today's trends and styles, and the High Density Eyeshdaows and Glow Blushes are lightweight and are highly pigmented so you can use less, avoiding unnecessary buildup and "caking". To see photos of makeovers I've done on actual Madison Avenue West clients with TIGI Cosmetics, check out our Before & After Gallery. Each photo has a detailed list of everything I used to achieve their different looks. So when writing this section I will refer (and link to) specific products or categories in the TIGI line, and show images when possible. If/when I write a "walkthru" of a particular makeover, I will refer to the specific TIGI Cosmetics products that I used, and I'll include links to those products making duplication of that look easier for you if you want to try it at home. I hope you enjoy these pages as much as I've enjoyed (and still enjoy) creating them. We're going to try and get some video done soon to enhance this section even more with hands-on info that you'll be able to use at home, so check back soon as I continue to expand Makeup 101. Thanks for stopping by, and for all your wonderful compliments, comments, questions and suggestions! I'm overjoyed that so many of you have taken the time to browse our site, and that we've helped so many of you with your makeup needs and questions. Note: All cosmetics and brushes used and shown on these pages are available in the salon or right here online at Madison Avenue West's TIGI Cosmetics Counter. We run specials on different items regularly, so check your account page often for money-saving coupon codes before ordering. If you don't have one yet, you can create your free account here. You may not think of yourself as an artist, by trade or otherwise, but if you wear and apply makeup daily you are an artist! In fact, you have more in common with a painter than you might think. 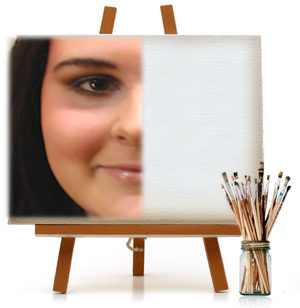 You both work with pigmented mediums; you both apply and blend those colorful mediums with brushes, and any artist knows that better tools make for a better end result; you both work to create something beautiful, and to capture a certain look or style in your artwork; and you both need to start with a a perfectly prepared canvas, or foundation. That's why it's so important for you to prep your look with the right Foundation for your skin type and tone, and to use the right Concealers so that you can begin your makeup application with an evenly balanced "canvas". Concealer is very important if you have any kind of blemishes, dark circles, red patches, or any type of skin irregularity that is a different shade than the rest of your skin, including birthmarks, large freckles, or "beauty" marks that you want to cover. There are two basic types of Concealers: Creme Concealers (TIGI - Light or Medium) and Concealer Pencils (TIGI - Light or Medium). I prefer to use Creme Concealer and to apply it with TIGI's Concealer Brush (I find that it's the perfect shape and firmness, especially for under-eye application), but Concealer Pencils are great on-the-go due to their compact size and ease of use. Whether using a brush or a fingertip, always press or "pat" concealer on rather than swipe it on, because concealer needs to stay in place and cover completely. When you swipe concealer on it tends to go on thinner, which minimizes it's ability to properly "conceal", although you can blend it with your concealer brush using very light pressure. 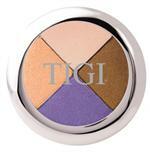 Note: While you may use Concealer on dark eyelids, we recommend using TIGI's Perfect Eyeshadow Base instead. It provides great coverage but is a lighter formula, and is made to work best as a base for TIGI High Density Eyeshadows. Using the wrong shade can make it difficult to blend with your natural skin tones, giving you that dreaded line of demarcation along your jawline, or a neck and declotage that simply don't match your face. Using the wrong type for your skin can actually enhance fine lines and wrinkles on older or dryer skin, or it can cause oily skin to become over-moisturized, making it difficult for your makeup to stay put. Also, because Foundation is applied to your entire face, it's important to use one that not only gives you the coverage you're looking for, but a formula that will nourish and protect your skin since you will be wearing it all day and/or into the evening. This type of makeup is known in the beauty industry as "Treatment Cosmetics", and you should not be using any makeup that isn't in the Treatment category! 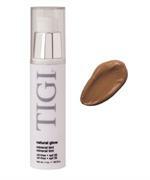 This is one of the many reasons we use and recommend TIGI Cosmetics at Madison Avenue West. All of TIGI's formulas (including blushes, eyeshadows, eyeliners, liip colors, etc.) contain sunscreens, anti-oxidants, minerals, Vitamins A, C, & E, emollients, and more, all of which nourish your skin while creating a protective barrier against damage from UV light and environmental pollutants. If you're not using a high quality brand of Treatment Cosmetics, your skin will develop signs of aging over time at a much faster rate, so I can't stress to you enough how important it is to use quality cosmetic products! 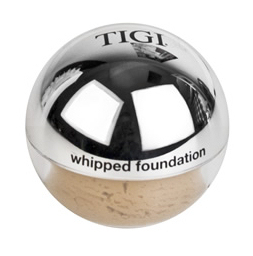 There are four basic types of Foundations: Liquid, Creme, Powder, and Whipped. Each type serves a specific purpose, depending on your skin type and texture. Note: Choosing the correct foundation is easy once you identify your skin type and texture. While most people can identify as either oily or dry, for those with combination skin it is best to use a liquid foundation in general and a creme or powder over your oily areas. Also, try to choose a shade that is the closest to your skin tone or LIGHTER, do not choose a darker foundation! If you're foundation is slightly lighter than your skin, you can always deepen it with Powder Foundation or Bronzer. Apply with makeup sponge or fingertips. 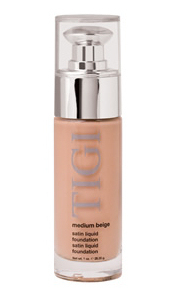 Can be used in combination with Creme Foundation for heavier coverage, or set with a light dusting of Powder Foundation. Apply with makeup sponge or applicator (included in compact). Can be used as foundation or as powder for touch-ups. 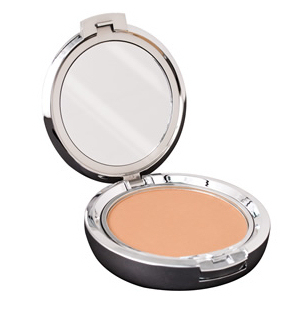 Apply with Powder Brush or applicator (included in compact). 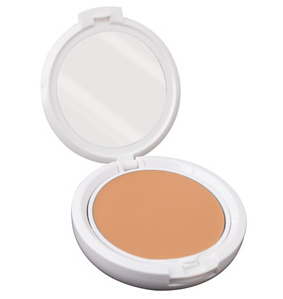 Can be used as foundation, to set liquid or creme foundation, or as powder for touch-ups. Apply with makeup sponge or fingertips. Goes on smooth, is lightweight, and has a powder finish. As I've said, creating the best possible canvas to work with requires the proper application of foundation once you've chosen the right one for you. Whether using fingertips, sponge applicators or brushes, be sure to work your foundation down below your jawline and blend into (or cover) your neck. Also be sure to apply as close to your hairline as possible, and use a very light touch over areas where concealer has been applied. Once again, I do not recommend apllying foundation or concealer on eyelids, use Perfect Eyeshadow Base instead. While some people like to apply blush and/or bronzer immediately after foundation, I prefer to work on the eyes next. I will address blush and bronzer after my section on eyes. I'd love to hear from you if you have any questions or comments!